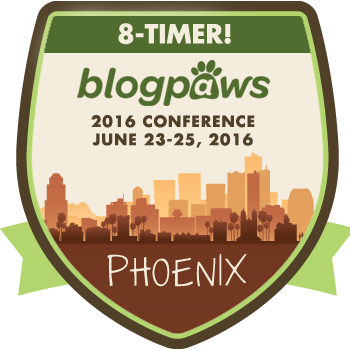 Are you bringing your pet to BlogPaws? Traveling with pets. It's a tricky business. I was recently contacted by some folks who talked about traveling with our pets...perhaps to BlogPaws, but I can't share it because it came from United. Sigh. I mean, I wouldn't fly United, would you? Still, the 2017 conference is only 29 days off, according to my calculations. I know we're (they? it's hard to remember I'm 'retired' from BlogPaws!) are anticipating a record number of pets in attendance. Not only dogs and cats - folks bring pet guinea pigs, rats, pigs, even capybaras. Did I spell that right? When I think of all the amazing animals that will be at the BlogPaws conference this year, and all of the amazing pets we've had in years past, I'm proud that the brand continues to support pet-friendly in its work. We always said our conferences would allow pets. We did it not only because pets just make life better, we did it because we know how hard it is to be separated from your sweet dog or cat or ferret or whatever, for four or five days at a time. Not to mention the cost of pet sitting - or even kenneling. There are some awesome kennels out there for pets that can't come to the event. Regardless, I feel strongly about the human-animal bond and it's a major part of why the BlogPaws brand is out there. The reality isn't that three or four people put their heads together and decided to support the human-animal bond, but...that is what happened. Yes, we thought about it, but maybe not as out loud as folks think. Our biggest goal was supported pet parents who blog. 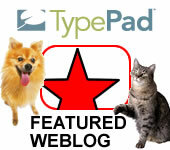 These are the awesome folks who share advice, stories, and recommendations on blogs, about pets. These are folks who live the concept of the human-animal bond. A guest blog by Patrice Kuiken. I met Patrice at a local networking event and was immediately drawn to her. Both for her quiet smile and kind eyes, as for her description of the positive training she provides, for those of us with challenging dogs. And, for those who are just good pet parents in wanting to bond with their dogs through positive training. I love how Patrice approaches her work and how she doesn't blame the pet parent or the pet, but works to help everyone play well together! Isn't that what the human animal bond is about? Learning to use our love and affection for each other in a positive, useful, supportive way? This post is especially focused. Read on...and learn. As a dog trainer in Denver I myself have a hard time finding those spare moments to work with my own dog, Finn, an Australian Shepard. Isn’t the saying, “the Cobbler’s children have no shoes”? Well, that is true in my household some days more than others! I have found a way I can get both the enjoyment of playing with Finn and training him all in one game. Tug-of-war! 1.) I always initiate the game with my dog (I am the one who offers the toy for Finn to play with). The reason being, I don’t want my dog to learn to just jump up and grab anything that I have in my hands. I am a big fan of scarves, but not much of a fan of those scarves being turned into tug toys. Thus, Rule #1: I let him know when we are playing by telling him to “Take” the toy and encourage him with praise and happy talk. Our two current pets were not always friends. As noted in this blog, kitty came to us from a home that had dogs, but those were 'her' dogs and once she came to our home, the dogs here were not her dogs, which made her skeptical of them. To their credit, the three dogs were more than a little curious about kitty, back then. Yes, they'd had a kitty in the house, but Pandora was old, she was settled in her ways, and she mostly ignored the dogs. Therefore, they never got to know here, or to understand that she was just another creature, much the same as they. Our dogs, at the time, were curious beyond compare about all animals. If you brought the animal into the house, their curiosity was multiplied exponentially. I do not think, however, they understood that other animals were the equivalent of them. In other words, other animals ('other' being the operative word here, as in anything that wasn't a dog - including a visiting ferret), were alien beings likely from another planet. We may argue that dogs don't understand concept such as 'planets' but the idea is what is important here. To Chester, Olive, Emily and the visiting granddogs, Twiggy and Onyx, cats or ferrets - and one would assume guinea pigs or other kinds of pets, heaven forbid we should bring a bird into the house! - were creatures of unknown origin, and certainly not 'dog'. Which is true. They aren't "dog." Over time, the pets in the house changed. The dogs came to understand that the kitty, Molly, was staying. That she was a member of the household. That she was maybe not the equivalent of each of them (after all, they are so unique and special, no other creature could match their awesomeness), but she was close to their equivalent. She was special in some other way. They came to know this and accept it, although for a good bit of time, it was clear their curiosity was not satiated no matter how close she allowed them to come to her, and as such, they viewed her as a visitor that wasn't leaving. We all know the saying, "If you've got your health, you've got everything." Well, that is true for our pets, also. And, from the perspective of this pet Mom, it also influences the human-animal bond. After all, we are tasked with taking the best care of our pets as possible! I know others think it can't compare to caring for 'two-legged' kids, but having done both, I will say it's very similar. Back in those ancient days of my youth, we thought taking care of our pets meant feeding them store bought pet food, table scraps, and the occasional treat. We took our dogs to the vet once a year for vaccinations and a physical. If the pet had an issue in-between those yearly visits, we agonized over whether it was necessary to take the pet to the veterinarian. After all, you don't run to the Dr every time your kid gets a scrapped knee, do you? but we only share information we feel is relevant to our readers. Nutri-Vet is not responsible for the content of this article. Today, thankfully, life is very different for pets. I'm so happy to have amazing brand like Nutri-Vet spending time really understanding the health of our cats and dogs, and developing products to keep those pets healthy as they grow and age. Recently we lost a precious girl to 'old age'. We think she aged faster than she should have, and much of that was because of her early life being a puppy mill Mom. But, when she came to live with us, we did look at how we could make her life better, not just with lots of love and attention, but with supplements. After all, we take supplements and we knew the value of things like chondroitin and glucosamine. Looking online and talking with our vet assured us that yes, our dogs and our cat could benefit from using supplements. Enter NutriVet, a brand with a focus on good health, and providing tasty chewables that would give our pets the right support, especially for healthy joints and healthy bones. Can you say AWESOME! As I delve more and more into the human-animal bond, I realize the true importance of good health and how vital it is for brands like Nutri-Vet to be on my shelf. But, not only that, I don't want to give the impression that we pet parents can just grab any old chewable off the grocery store shelf and assume it will do the job. You have to look at ingredients. You have to understand how these supplements work on your dog or cat. You have to trust the brand that is offering them. It goes to understanding the need for good health. For making sure your dog or cat will live a long and healthy life. For me, it means good joint support. Trust me, I know how painful joints can be as you age! We're using the Nutri-Vet Hip & Joint regular strength right now. We did receive a free sample for Emily. I'm impressed! Emily is a fussy fussy girl. But she loves her Nutri-Vet chewables. And, it's only been a month (just under, I guess) so I can't say 'oh wow what a difference!' but I can say I am confident that this is an important part of Emily's good health program now. By the way, so is my vet. They recommend supplements. It's time to get another bottle. I think we'll stay with the regular strength for now. Emily is still young. No supplements for kitty, right now. She's dealing with possible pancreatitis and we are struggling just to keep food down her belly. But, were she healthy, I'd definitely be giving her supplements, also. I know this - the human-animal bond is about more than the love we feel for each other, we humans and our pets. It's a trust, a connection, a sincere belief in the value of sharing love, even without words. And, it's important to build good health into that. Our pets depend on us for good health. I recommend the Nutri-Vet newsletter for information. You can also receive exclusive offers, coupons, and sales alerts, if you sign up. If you're on Facebook, and who isn't? Check out the Nutri-Vet Facebook page, too! This is a community that is fun, informative, and supportive of dogs and cats - and they do giveaways! Pawsome! ONE more thing... you can WIN a bottle of the Hip&Joint Regular Strength: 500 mg of glucosamine, 100 mg chondroitin and vitamin C and 10 mg MSM to help maintain healthy canine joint function and connective tissue. Emily loves the taste so I bet your dog will, too! Just share a comment below about your pet's health, and we'll do a random draw on March 24th. This has been extended to March 31st! W00t! I like to give folks a chance. Good stuff! Enter now! THIS CONTEST IS OVER! You know that I'm right. Health and welfare go together. Supplements are a benefit to all of us, two-legged and four-legged. It's about love, it's about care, and it's about embracing the truth about the human-animal bond: that without it, we are lesser creatures of the world.